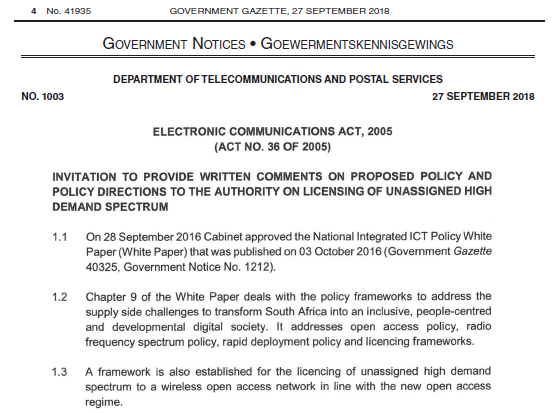 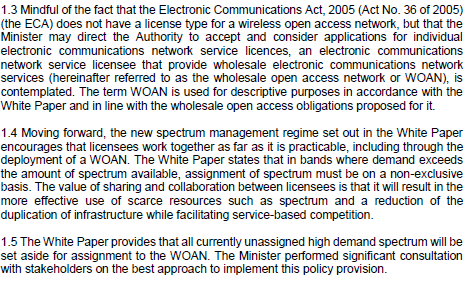 After considering public comments, the minister will issue a final Policy Direction to ICASA which will enable them to start their processes for licensing. 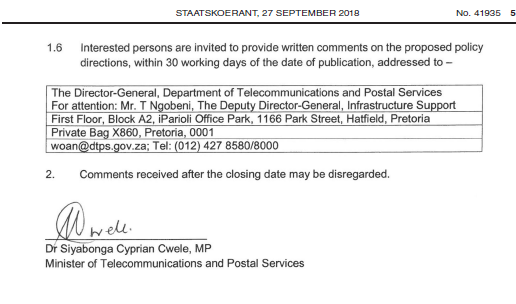 Interested persons have until 8 November 2018 to provide written comments on the policy and policy direction. 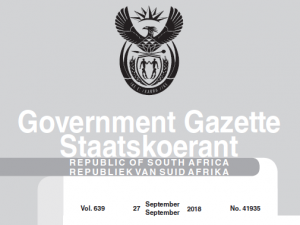 Dr Cwele has also published an abridged version of the spectrum requirements report prepared by the Council for Scientific and Industrial Research (CSIR). 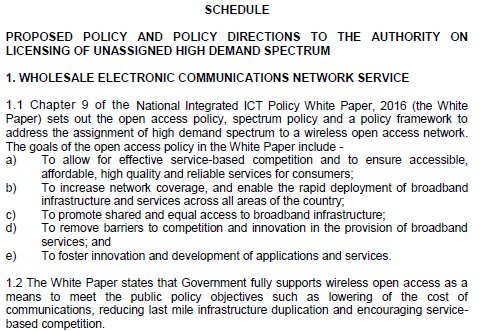 It is contained in the above document. 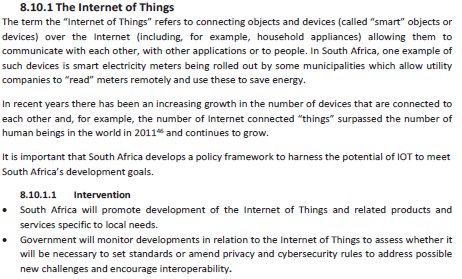 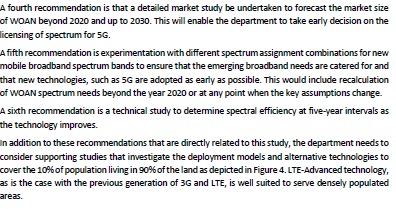 The policy direction, as it stands in the draft, directs ICASA to consider the recommendations of the CSIR study.